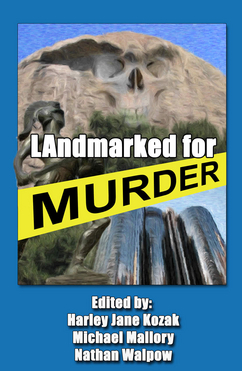 LAndmarked For Murder is a collection of ten original, dark and deadly tales by members of the Los Angeles Chapter of Sisters in Crime, each one set against the backdrop of some of Southern California’s most notable natural and manmade landmarks. Spanning the City of Angels from the majestic Pacific to the quixotic Venice Canals, from the lost elegance of downtown’s Biltmore Hotel to the jazz-hot beat of a legendary South Central nightclub, and all points in between, LAndmarked For Murder serves up a savory stew of dark desires and dangerous passions, from some of L.A.’s best contemporary crime writers. PAUL D. MARKS’s story "Santa Claus Blues" was nominated for a Pushcart Prize. Another of his stories, "Netiquette," won first place in the Futures Short Story Contest. He has also sold stories to Dogwood Tales, Futures, Penny-A-Liner and other publications. 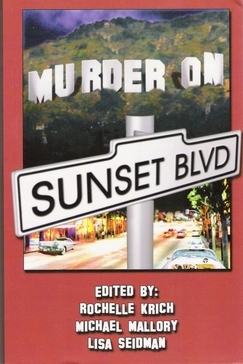 "Angels Flight" appeared in the anthology Murder by Thirteen. Paul is the stealth screenwriter, making his living from optioning screenplays of his own and rewriting (script doctoring) other people's scripts or developing their ideas. He has also lectured on writing and screenwriting at UCLA, California State University, San Bernadino, Learning Tree University and at other seminars or conferences. A Los Angeles native, he loves the city that L.A. was. Dodging bullets, he's not so sure about the city it is today. He is currently at work on a mystery novel.